For the pre-Christmas light market we transformed the casting hall in the Duisburg-Nord Landscape Park into a glittering “holiday world of ice”. 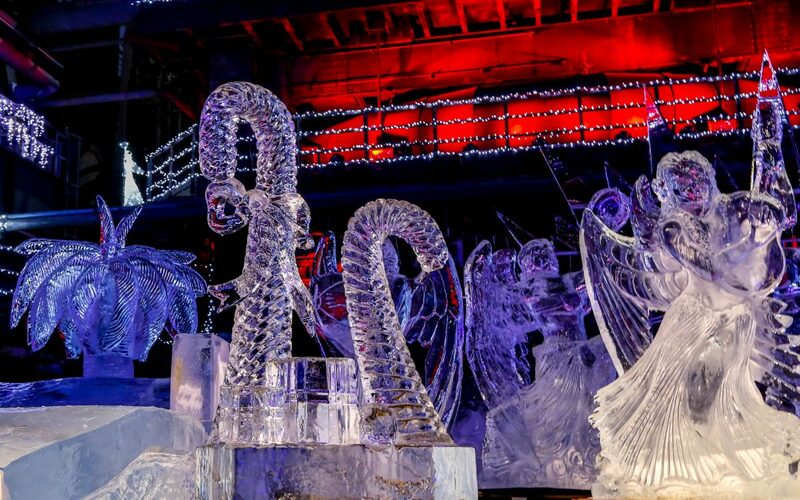 A spectacular light show with a live carving interlude perfectly staged the ice sculptures. A special highlight: the world record for the “largest sun lounger made of ice”. 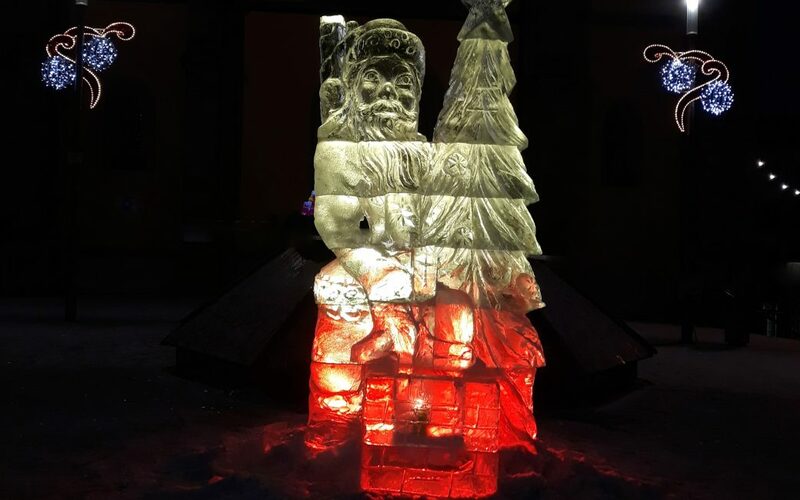 “Santa Claus got stuck in my chimney” – inspired by the American Christmas hit, we designed this ice sculpture as a special attraction for the Hof Christmas Market.